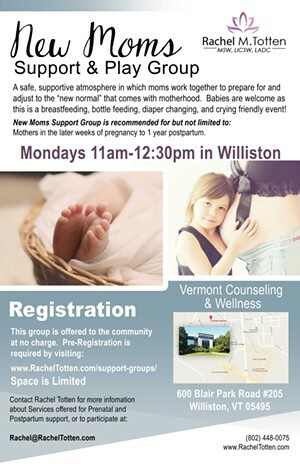 New Moms Support & Play Group | Rachel Totten | For New Parents | Kids VT - small people, big ideas! Novice moms and moms-to-be get professional and peer support as they adjust to the 'new normal' of motherhood. Babies welcome.